Weatherbar specialises in Draught Proofing products to keep your home dry and draught free, all products are manufactured in the UK. Heavy duty Aluminium carrier and nylon brushed draught excluders. Ideal for garage and large external doors. Plastic or Aluminium carrier with various seal types for all doors and windows. 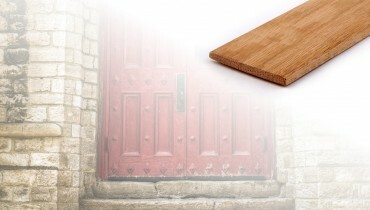 Supplied in a kit to provide a seal to the sides and tops of doors and windows. Aluminium carrier and nylon brushed draught excluders. Designed for use with all door types. Screw fixed. Silver & Brass colours. Plastic carrier and nylon brushed draught excluders. Designed for use with all door types. Screw fixed. Brown & White colours. Wide rectangular shaped self adhesive foam seal for draught proofing all kinds of door and window frames. Brown & white colours. 11mm wide. Narrow rectangular shaped self adhesive foam seal for draught proofing all kinds of door and window frames. Brown & white colours. 7mm wide. ‘E’ shaped self adhesive rubber seal designed for draught proofing ill fitting or warpped doors and window frames. Black, brown & white colours. ‘P’ shaped self adhesive rubber seal designed for draught proofing ill fitting or warpped doors and window frames. Black, brown & white colours. 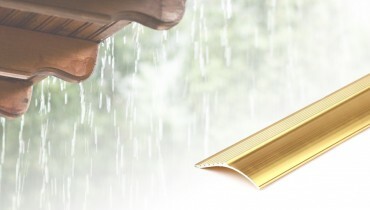 Spring loaded, automatic sealing, Aluminium rain deflector and draught excluder. Prevents both water ingress and draught. Silver & Brass colours. Single piece Aluminium rain deflectors designed to prevent precipitation (water) running down the door face and damaging the bottom and sill. Silver & Brass colours. 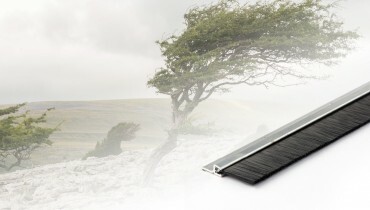 Lowline access door sill ideal for areas that require wheelchair or part-m compliance. Triple seal protection. Silver & Brass colours. 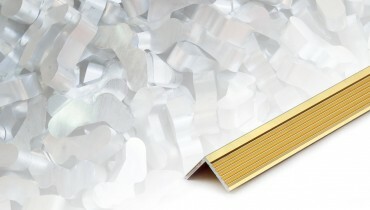 Aluminium door sills for external, inward opening doors. Double draught sealing and easy to fit, supplied complete with fixings. Silver, Brass and Black colours. 5 wood effect, white and clear coloured sealants for use around floors and doors. Fills gaps or aid repairs to Acrylic & Silicone Sealants frames, skirtings, architravves or floors. A cranked Aluminium flooring profile for bridging gaps between floors or over doorway thresholds. Available in a silver colour. A solid Oak timber product designed for bridging gaps between floors or over doorway thresholds. Available in lacquered or unfinished Oak. Equal sided Aluminium profiles in various widths for all kinds of uses. Ribbed top piece provides decorative detail and extra grip. Available in Silver & Brass colours. Equal sided Aluminium profiles in various widths for all kinds of general building and DIY uses. Available in Silver & Brass colours. "spend a little, save a lot!"